CLZ Barry is the perfect companion for the Windows and Mac editions of the Collectorz.com cataloging software, as they have a built-in Buddy for Barry. Using CLZ Barry is the best way to catalog your DVDs, Blu-Rays, CDs, books, comic books and video games by barcode. To use CLZ Barry with the Collectorz.com desktop software, make sure the following Settings are set correctly. Instant Mode or Batch Mode ? 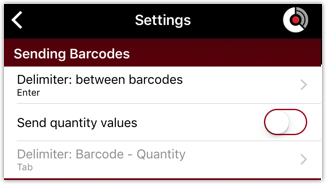 Instant Mode: scan a barcode and have it instantly appear in the Barcode box of the Add Automatically screen. Batch Mode: scan multiple barcodes while offline, then later send the entire list to the Search Queue of the Add Automatically screen in one go.